VSO Downloader is a simple media downloader that allows you to download audio and video streaming content from thousands of sites. By using a packet capture tool it will automatically detect and download streaming content, so no copy pasting necessary. It's also offering to convert downloaded files to MP3, AVI, iPad, iPhone, Mp4, H264, Xvid. The program works independently from web browsers, so, therefore, it works with all of them, Internet Explorer, Firefox, Chrome, Opera, and more. Furthermore, an ad blocker is integrated so that only relevant content is downloaded. 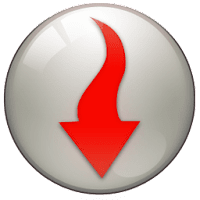 Disclaimer: Direct downloads for the lastest version of VSO Downloader 5.0.1.49 are provided by the official software's author, we can't guarantee safety, availability or download speed. Moreover, we don't and we won't provide any pirated/illegal versions or tools. We recommend you to avoid it as these methods can harm your device. If you like the software, buy it to support the developers. (We provide software discounts for many worldwide brands).